Dan the Pixar Fan: Disney·Pixar Coco Books— NOW AVAILABLE! In case you missed it, I wanted to share the news/reminder that Coco books officially hit store shelves and online today! I had fun going to Barnes & Noble this morning to see everything they had available thus far (as seen in my pic above). This isn't everything that came out today of course, but it's what my local store had in stock. Be sure to check out Amazon.com HERE for the full gamut of titles! Standouts for me include Miguel and the Grand Harmony, the Little Golden Book, the Big Golden Book, the "Art of" book, The Essential Guide, I Love My Family: A Book of Memories and Miguel and the Amazing Alebrijes. I look forward to reviewing all those and more in the coming weeks and months! Stay tuned. Note: Remember, if you're avoiding any spoilers or plot points not seen in the trailers, avoid opening these at all cost (even director Lee Unkrich has warned about this a few times on Twitter). If you don't care about spoiling the story, go ahead and have fun reading these now. I for one will be waiting until after I see the film so I can go in as fresh as possible. I don't want any twists or turns ruined! 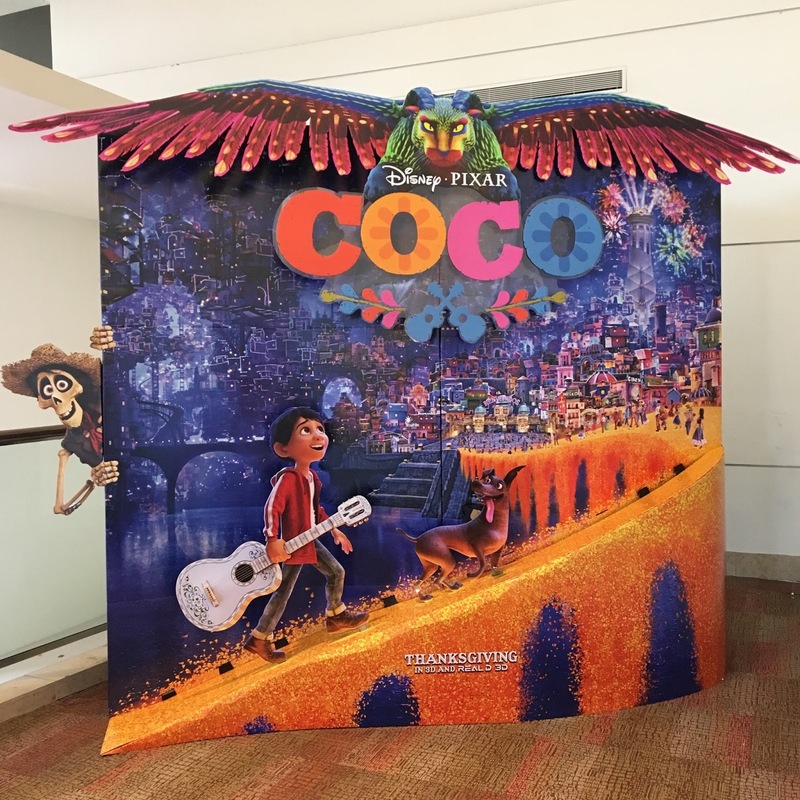 Also (unrelated to the books), I just wanted to share this fantastic giant 3D Coco movie theater standee that I saw today as well. I had seen pics of this circulating online, but it was cool to see it in person! I had to document it. 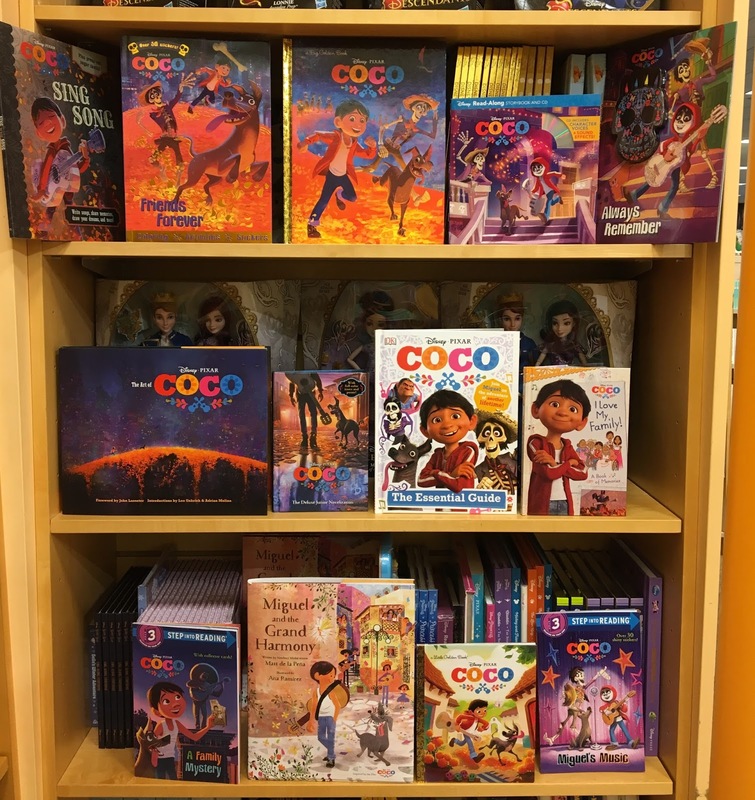 What are your thoughts on the new Coco books? Will you be reading them before the film? Which ones have you purchased/plan to purchase? Let me know in the comments below.